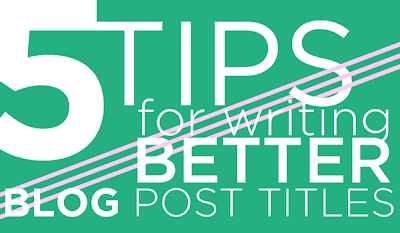 Blog title is very important for any post. Your title must be attractive, unique, interesting etc. It is one of the important way that move your blog to the next level. If visitors find your blog interesting and modified than you can increase huge traffic for your blog. Below there are 5 most used and innovative ideas to write an better blog post. Here we are discussing some important tips and methods to increase visitors and traffic for your blog. Always look up for an unique and interesting article for your blog. Always remember that people always search for an unique item. As we know that every person is look up for different post so you have to write an article which is very rarely written and available on web. So, try to build up your uniqueness. Very important tip is don't use unnecessary keywords like is, an, if, of etc. Don't use unnecessary keywords which having no sense. Keywords play an vital role in the field of blogging, so try to achieve targeted keywords in your post. Google has a strategy to show only post title up to 66 words that's why Its good for us to write titles as 76 words only for better impact. Your title must be eye catching, as it should attracts the viewers choice. Title is the first step to write an powerful post. Short title has very less content to describe summary of the post, But the long titles have enough words in it to describe the purpose of the the post by using multiple keywords also. If title of your blogs posts describes the summary of the whole article, then your blog post is going to attract more audience. my blogs is high ranking in google.